The National Trade Contractors Coalition of Canada (NTCCC) is expressing its strong support for the federal government’s budget, released March 19, which will make prompt payment the law on all federal government contracts in Canada. 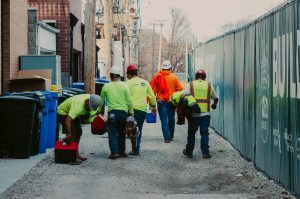 “Trade contractors, tradespeople, suppliers and families in Canada’s construction sector have been waiting a long time for this,” said Sandra Skivsky, NTCCC chair. Since the last federal election, NTCCC has led efforts to have prompt payment introduced federally. Ontario passed Canada’s first prompt payment laws just over a year ago with the introduction of the revised Construction Act. However, Canada has lagged behind other countries, reports the organization. Payment delays have risen steadily in Canada since the economic downturn in 2008. These bottlenecks have limited efficiency by slowing projects and increasing disputes between prime contractors and sub-contractors. The NTCCC has worked closely with Public Services and Procurement Canada, and Members of the House of Commons and Senate of Canada to build momentum for a made-in-Canada approach to legislating payment timeframes. “We wish to commend all partners in government, including the Minister of PSPC, Minister of Finance, and our champions in the House of Commons and the Senate, the Hon. Judy Sgro and Senator Don Plett for the incredible work they have done to get us to this point,” said Skivsky. The NTCCC was spearheaded by longtime Mechanical Contractors Association of Canada executive director Richard McKeagan, who retired last June. The Contractor Division of the Heating, Refrigeration and Air Conditioning Institute of Canada is also active in the organization.